The recording date is unknown for this sample of 1990s 100.7 Double-X. Oddly enough, there’s very little information available on this radio station, so listener input is very important as we log the history of radio. Double X was a legend in the ‘Burgh! The first commercial alternative/modern rock station. This aircheck is of Phil Kirzyc – who went afterward to WDVE in Pittsburgh and is still there to this day. The reference to the new Icehouse LP dates this to late 1987 or possibly early 1988. 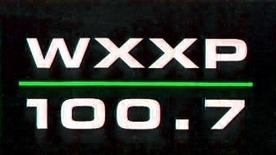 Sounds like a modern rocker from 1988… WXXP did become rhythmic WMXP Mix Jamz 100.7 sometime around 1990. It’s now Star 100.7. This radio station was on for two years from 1986-88 in Pittsburgh and was a sister station of then-Modern Rocker WLIR-FM 92.7 in Garden City, Long Island — the de-facto New York City Alternative station with a signal great at Jones Beach and nowhere else. Double X was a good attempt at bringing the “DRE” Dare To Be Different concept to a city that really had a great Modern Rock scene. Sadly, WDVE and B94 owned the radio market and Double X suffered from a financially troubled owner and an inability to do more than get promoters to support the station. No beer money. No car dollars. Result? The evolution to the dreadful “Mix Jamz,” which was exactly as it appears — half Churban, half Hot AC circa 1991. A GSM’s dream; a programmer’s hell.